Is Spotify Europe’s Model Unicorn? My home country Sweden, and especially Stockholm, is a hotbed for start-ups of all different kinds, with fintech unicorn Klarna being a key example. But, above all, I have to praise Sweden for creating the biggest European start-up of all time – Spotify. They have come a long way since we first backed them in 2008 at Creandum as their first institutional investor, and their potential has always been clear. Their success in going public in April this year, and now valued at over $34bn, has made them a role model for all technology scale-ups. It is important for Europe that the market does now have examples to show us that this unicorn status is achievable and that it is possible. Europe can create scale-ups that become multi-billion dollar companies – we can build unicorns here. I think there is a saying in the venture capital world that great new companies come from great old companies, so having these experienced role models in Europe is important as some of these experienced CEOs and founders are likely to produce their second and third scale-ups in years to come, enriching the European tech scale-up ecosystem. 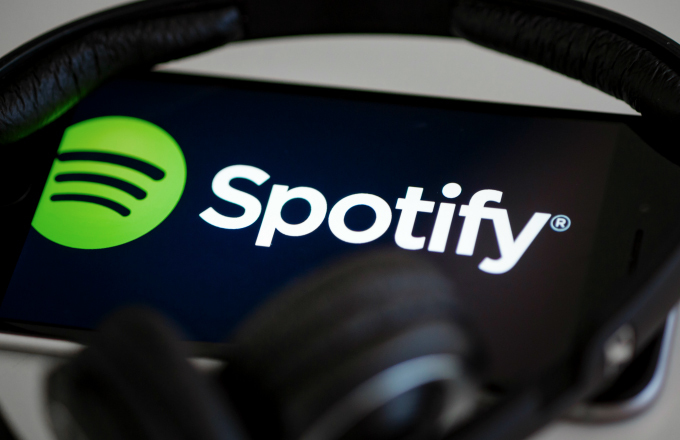 Spotify themselves had a highly experienced management team behind them when we came across them – their Chairman, Martin Lorentzon, was a former founder and CEO of global performance marketing firm Tradedoubler and CEO Daniel Ek had been CTO (or the equivalent) of multiple technology businesses including Skype. We are seeing a lot of CEOs and founders getting liquidity out of their companies, either to build and grow them or for exit – this is beneficial as most of this money will be fed back into the European ecosystem and become invested elsewhere. We can take Spotify’s success as somewhat of a guide for Europe. They started in Sweden and grew very quickly before going to the UK. Then once they needed a bigger market, they expanded to the US, became big there and then conquered the rest of the European markets. This has really resonated with many other companies in Europe has a template for fast and successful international expansion. Starting from these countries and then going into a bigger market such as the US quite quickly is becoming more the route to success for today’s European scale-ups than it has ever been before. What Spotify were judged on when we backed them ten years ago, and what I evaluate any business on today when I’m looking to invest, is market strategy and team. When I’m presented with a company’s go-to-market plan, whether that’s on a European level or at a global scale, what I want to see is a clear path that leads from where they are today to a scale-up in a bigger market. The composition of the team, specifically the management team, is equally crucial. I want to see how the business plans to build their management team and how they envisage becoming a scale-up in the global market. In my 15 years of experience as an investor, I have seen companies with great business ideas approaching great market. But with an insufficient management team, these companies will fail. Equally, I have seen companies where their idea has not been particularly innovative – but with a great team and what that team can create, they have still achieved success. The lessons that the next generation of technology scale-ups can really learn here from Spotify are that a clear vision is needed to take on the global market – this is not something that can be improvised. And just as important is the team behind the CEO. The right people, rather than just the right idea, absolutely are the difference between a good technology business and a great technology business.